Using a Check Box to Control Visibility of Examination Components – Welcome to JusticeTrax Customer Care! 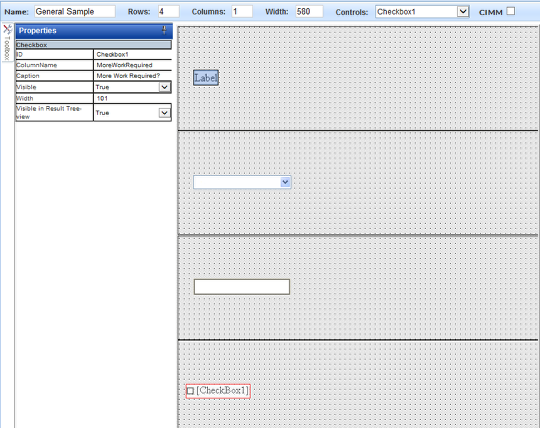 A check box can be used to control visibility of an Analytical Module block or DUI template but not an individual DUI field. Here are the quick steps to set up the rules. Create a check box field on a result (examination or sample) DUI. 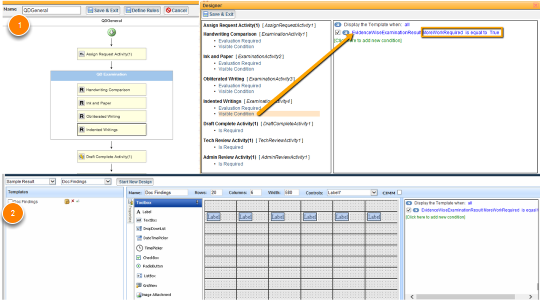 Control Visibility of an Analytical Module Work flow Block (1) and\or DUI Template (2) using the value of the check box by using the visibility rules. Evidencewiseexaminationresult MoreWorkRequired is equal to True. That means these particular items are only visible if that check box value is True, or checked.